How will this briefing help me? 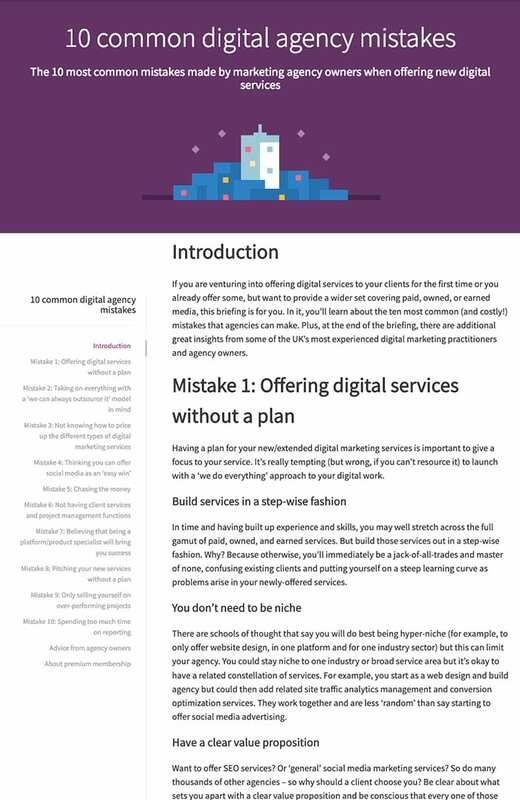 If you are venturing into offering digital services to your clients for the first time, or looking to expand the digital services of your agency, this briefing is for you. 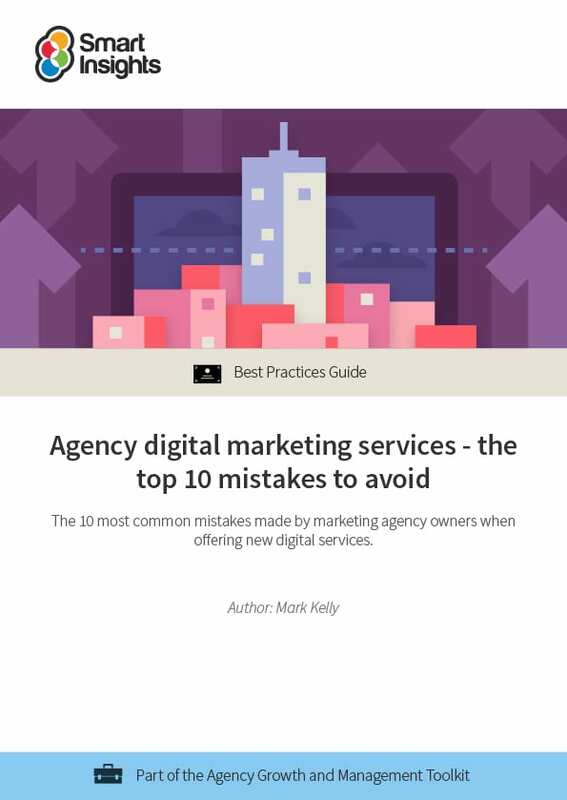 Written by agency expert Mark Kelly, who has 16 years of experience in working with digital agencies, the guide explains the 10 most common (and costly) mistakes that agencies can make. Plus, there are insider tips and insights from some of the UK’s most experienced digital marketing practitioners and agency owners. This briefing is for owners of marketing agencies and their colleagues involved in new business development. It may also be useful for managers in marketing agencies transitioning to offer digital services, as it can be used as a checklist to make sure they are preventing the agency to falling foul of the mistakes that are typically made. How is this briefing structured? This guide has been edited to include more information per section, and two new sections regarding selling yourself on over-performing campaigns and spending too much time on reporting.